Making your own beverages from items in your garden is a great way to be healthy. You also may save a lot of money by not purchasing overpriced products from a local grocery store. The flavors for many drinks you can make will be based on the items that are available. This includes berries, plants, herbs, and even some edible flowers. The only thing to do is decide on the mocktails you want to make. A mocktail is a drink that looks like something made at a bar, but does not have any alcohol. 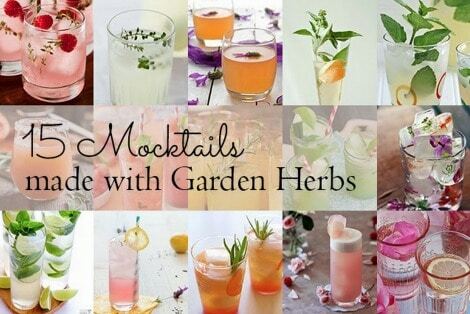 Herbs are a great option to kick a simple drink up a notch. This includes a simple lemonade and even tea. All you need to do is determine the types of ingredients that are needed. The best way to do this is to find out if certain mocktails require specific ingredients. Many mocktails are made using fruits as the base flavor and herbs as accents. You can use a recipe that is established or experiment to make a drink that is unique. The choice of drinks you make typically depends on the availability of ingredients. If you do not have a garden, then the next best option for mocktails is to look at health food stores. Certain herbs and plants used to make various beverages also can be added as a garnish. Mint is an ideal option as it can be used as an accent flavor and as a garnish. Drinks without alcohol will provide a superb way to enjoy fantastic flavors without any aftereffects. You can make various types of mocktails for a party or for your own use.